The Brooks Room is named after Thomas Brooks (1811-1887), an important Brooklyn cabinetmaker, who supplied the New York market throughout the mid-nineteenth century. He ran a successful furniture-making business at the corner of Fulton and Sand Streets, near the entrance to the Brooklyn Bridge. He made a variety of elegant Victorian renaissance revival furniture, such as bedroom sets, cabinets, bookcases, and tables, all of which are some of the most sought after American Victorian antiques in the world today. Many of his pieces are on display at the Brooklyn Museum. 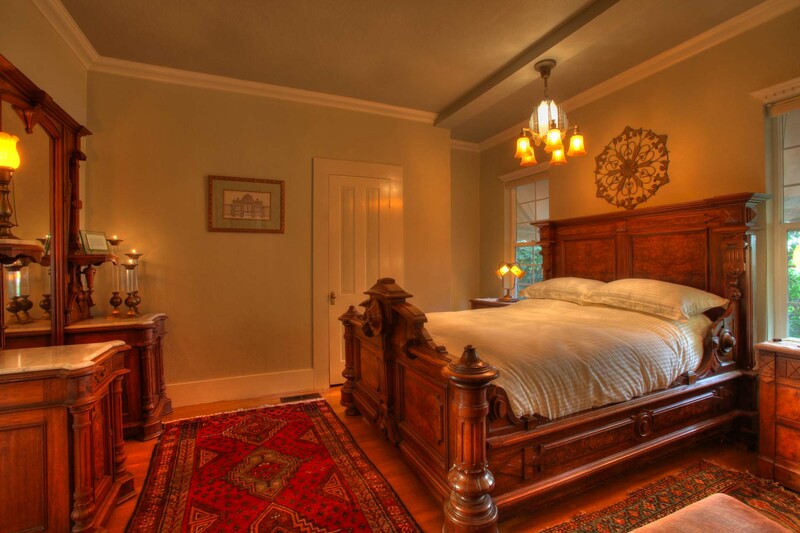 The Brooks Room features two pieces of furniture made by Mr. Brooks in about 1867, one being the unique bed. 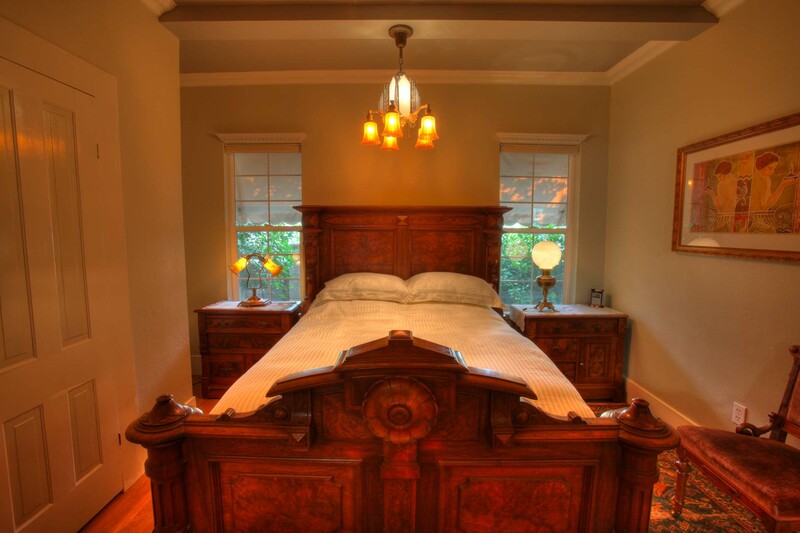 Sleeping in this bed is like taking a step back in time when true craftsmen made furniture with care. The room includes an attached private bathroom with shower. Plush bathrobes are provided. NOTE: You must furnish your own wine. Check out time is at 11:00 AM. Please view our policies.